American Quarter Horses are one of the oldest recognized breeds of horses in the United States. The breed originated about the 1660s as a cross between native horses of Spanish origin used by the earliest colonists and English horses imported to Virginia from about 1610. By the late 17th century, these horses were being raced successfully over quarter-mile courses in Rhode Island and Virginia, and hence received the name Quarter Horses. 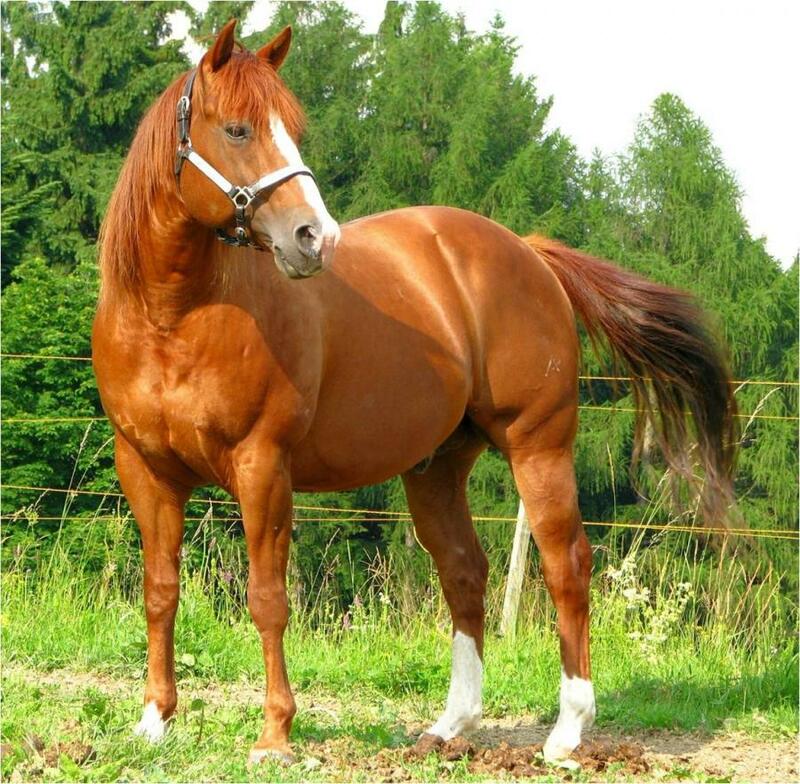 The Quarter Horse was bred for performance and had considerable Thoroughbred blood as well as traits of other lines. Important sires include Janus, an English Thoroughbred imported to Virginia in 1756. American Quarter Horses are an American breed of horse that excel at sprinting short distances. Its name came from its ability to outdistance other horse breeds in races of a quarter mile or less; some have been clocked at speeds up to 55 mph (88.5 km/h). American Quarter Horses are the most popular breed in the United States today, and the American Quarter Horse Association is the largest breed registry in the world, with almost 3 million American Quarter Horses currently registered. American Quarter Horses are well known both as a race horse and for its performance in rodeos, horse shows, and as a working ranch horse. The compact body of the American Quarter Horse is well-suited to the intricate and speedy maneuvers required in reining, cutting, working cow horse, barrel racing, calf roping, and other western riding events, especially those involving live cattle. The American Quarter Horse is also shown in English disciplines, driving, and many other equestrian activities.